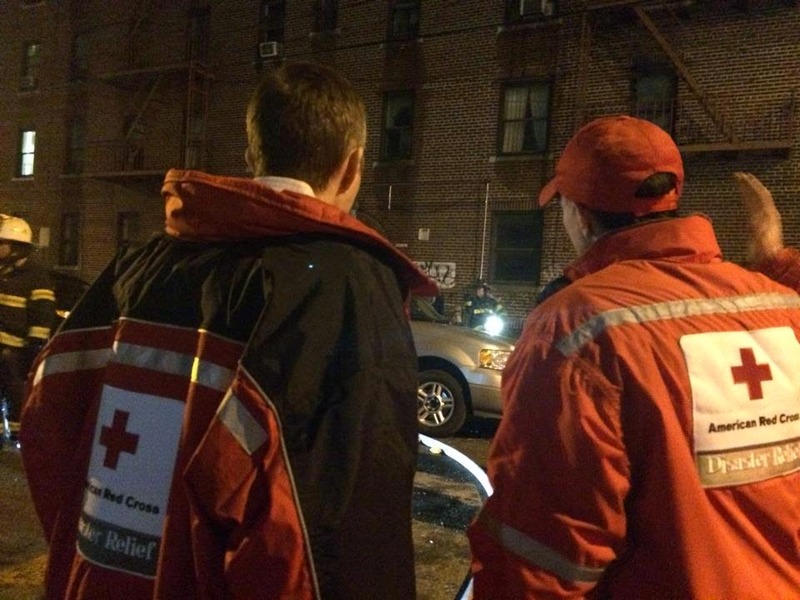 Red Cross responds to a 5-Alarm fire in Ozone Park (Queens). Over the last 7 days, the Greater New York Red Cross provided emergency assistance to 184 adults and 56 children following 55 local disasters. Here are some highlights of responses and activities from the last week. On December 18, a 5-Alarm fire tore through an apartment building in Ozone Park (Queens). Working with city agencies, the Red Cross setup a relief center at P.S. 65 and provided financial and emotional support to two dozen families displaced. Of those families, 11 were provided emergency housing. Last Friday, Red Cross Club Youth volunteers held their annual fundraising movie night. They screened the Holiday classic, Santa Clause, and raised money to benefit the Red Cross. The Long Island chapter of the Red Cross welcomed a new board member, Butch Yamali. The staff and volunteers of the Greater NY Red Cross would like to wish you "Happy Holidays!" (to the tune of Taylor Swift's Shake It Off). The volunteer work that I have done with 'American Red Cross' has been some of the most rewarding of my life. I want to take this opportunity to wish all my friends and colleagues at 'American Red Cross' the happiest of holidays, and God willing, I look forward to the chance to help as many as possible in 2015.